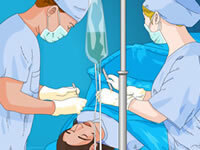 Learn the basic procedure of the stomach operation by following the nurse's instructions step by step. 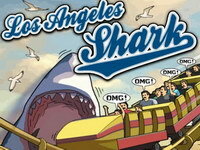 The famous shark is back in the USA! This is the illest, the realest SHARK style, ready to take the city by storm. Swim along the coast and bite anything that moves. The zombie hoards are taking over and all you have is a tank. See if you can make it out alive. fight the battle by driving as far as you can before you run out of gas. 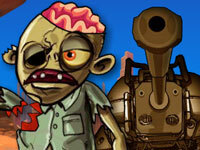 Each run you will earn cash to upgrade your tank and your zombie killing convoy. Go crazy and smash everything you see! unlock new tanks and lots of cool upgrades as you get closer and closer to the safe house. 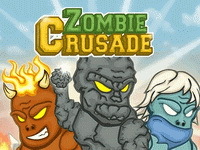 Zombie Crusade, it's an epic Tower Defense game! 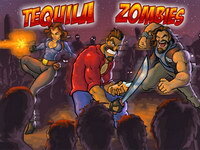 Defend your kingdom against hordes of zombies. You are an elite soldier. Upgrade your skill and weapons to be destroy everything around you. You should complete all missions by killing all your enemies. 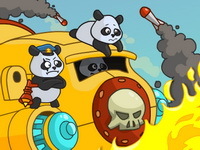 You are an ex-space pirate, liberated to fight for the Planet of Pandas against Bears and return stolen sacred crystals. Upgrade your vessel, crush all bosses in 4 different locations and meet your destiny! Take to the tracks on your superbike, turbo your way through 20 racers over 8 exciting tracks. Challenge your skills in this fast-paced two-wheeler racing action! Ride your super nitro powered motorcycle past 20 other talented racers to the finish line. Mario needs to find the perfect spot in the parking lot for his kart, see if you can guide him into the correct space. Driving a taxi is not an easy task. Especially when you have to park your car at a busy airport parking. Drive through each parking lot and learn the layout of the area! Collect coins for bonus points and make sure you don't hit anything or you'll have to start all over! 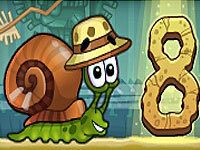 Snail Bob's come out of his shell, but his path to true love is paved with peril. Help bob navigate these levels in order to reach the love he has been searching for. The street is full of points for the taking. Race your super car through traffic causing accidents and side swiping other cars. Hit other cars too much and you will wreck. This game is built for the mad drivers out there that would just loves to cause some damage. What happens when a group of young rockers make a bad decision on where to stop for a gas? Zombies! Help the to stay alive. In order to beat the undead, you will need to work as a team. Combat 3 is an Unity 3d multiplayer shooting game where you have to defeat all your opponents from the rival team. 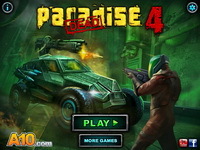 The game offers a big arsenal of guns that you can use and many maps with different game types. 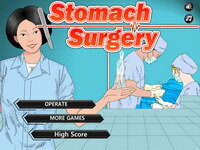 Another high-quality 3D shooter in Counter Strike style. Experience a High speed intense driving game with amazing turns to reveal your inner racer instinct. Master your racing skills and tune your car just right to maximize performance. Race in 3 different exciting locations, Unlock all levels and cars to reach the top.Compete with different wild drivers and become the Master of racing. Blast your way to the finish-line in the epic battle races of the Water Wars! Dive into an exciting world of adventures! Explore the water world, all its abilities and surprises! Finish 1st to unlock each race! This Castaway spin-off combines real-time adventure with the strategy of tower defense games to create a new hybrid genre. 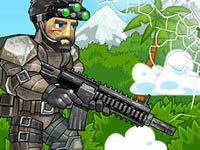 Control the hero from the Castaway series, as he builds towers to defend his island against waves of enemies. Travel an island with 30 levels spread across 5 unique environments. Try and evade the police in this high speed high octane chase. Take the roll as a bad guy in your amazing Mustang GT to try and out run the police, be carefull though these police officers are highly skilled in taking bad guys like you out. Can you make it to the end? Zombie invade started! Defend survivors against hordes of zombies. Build towers, call reinforcements, create mine fields or bomb them. A group of maximum-security inmates has just one chance for freedom: the death racer championship. Choose a racer and choose location where you would like to test your driving skills. Compete against the others and do not let them be better than you! Terminator Car is a totally new style , enjoyable and exciting game. You have been given the ability to select your own Character and follow your adventurous way on the road . High quality and details have been utilized to provide a satisfactory and interesting environment for You. You are also allowed to edit and change the car accessories and body. An interesting puzzle-game where you need to avoid collision and make sure each train arrives at its destination. Guide the trains to their stations by fixing railways direction.